Missouri’s Department of Transportation is planning an innovative reworking of historic Route 66 — an undetermined section of ‘America’s Highway’ will be covered in solar panels from Idaho startup, Solar Roadways. Combining road improvement with solar energy generation could be not only a boon for the state, but a model for others across the U.S. Better still, this is an ‘intelligent’ system in which microprocessors allow the panels communicate with each other and a central control operating center — as well as with vehicles. Being modular, the roads could easily be repaired when necessary without having to rework entire sections, which can disrupt traffic for months, if not years. As Solar Roadways — which is also crowd-funded through Indiegogo — explained, they have already completed two contracts in partnership with the U.S. Department of Transportation. A similar project in the Netherlands was more successful than proponents and detractors imagined — a 70-meter (229.6 feet) section of bike path tested generated enough electricity in six months to power a single-family home for an entire year. Abandoning the need for paint on such roads offers a number of benefits, as well. Imagine construction zones — when modules do need repair — being routed through the use of LED lights instead of those ubiquitous and much-maligned orange barrels. The safety potential and energy benefits make such projects a necessity well into the future. 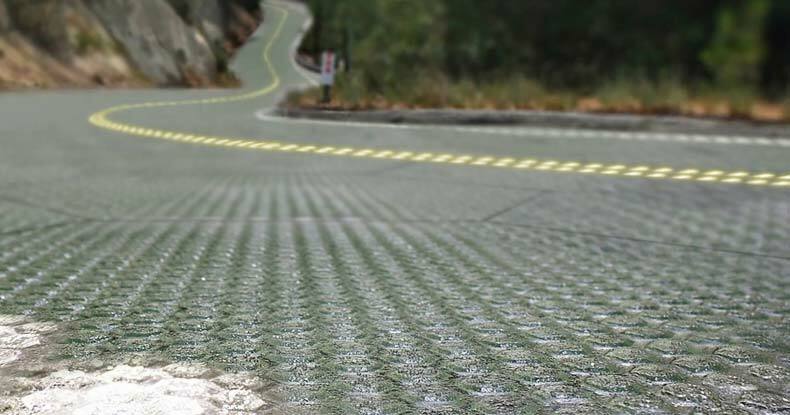 If the project experiences such success in Missouri, solar roads may be the future for many American highways.